The final preparations are underway for this weekend’s Ayrshire Alps Sportive. Nestled at the northern tip of the park area, Kirkmichael Village will play host to over 350 riders from across the UK on Sunday. Riders will enjoy breathtaking scenery as the take on a series of breathless climbs including Nic O Balloch. 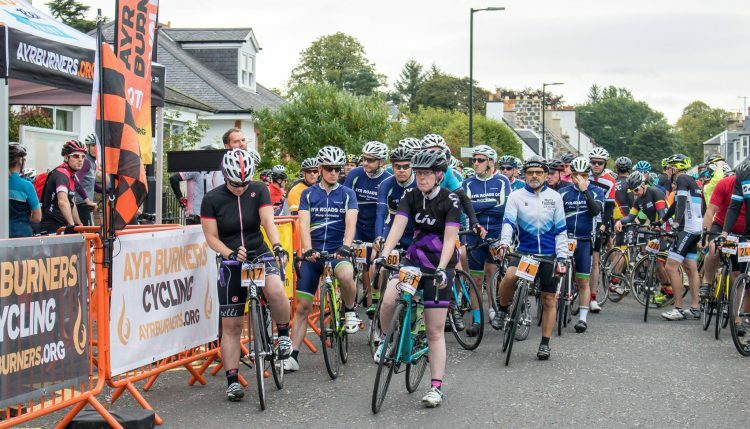 Organiser Gavin McKellar has assembled a fine support crew of Ayr Burners Cycling members, friends and family to host the 4th edition of the Sportive that has grown from year upon year. The full rider handbook is now available for download. Good luck to all the riders – enjoy your day!